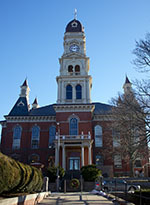 Since its establishment in 2004, the City Hall Restoration Commission has been working to restore and preserve City Hall. 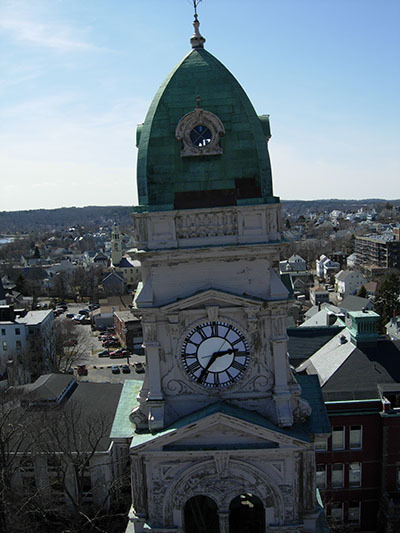 Much has been accomplished; cracked structural trusses in the roof of the main building have been repaired; the bell and clock tower have been straightened, strengthened, and restored; the porticos, cornice, small ventilator towers, windows have all been restored. The restoration work has been performed in accordance with the Secretary of the Interior's Standards for Historic Structures. Many accessibility issues have been, and continue to be, addressed throughout the building's interior.